This is pretty neat. 50 years ago, a guy in Turkey was renovating his home, and came across a series of underground chambers and tunnels. 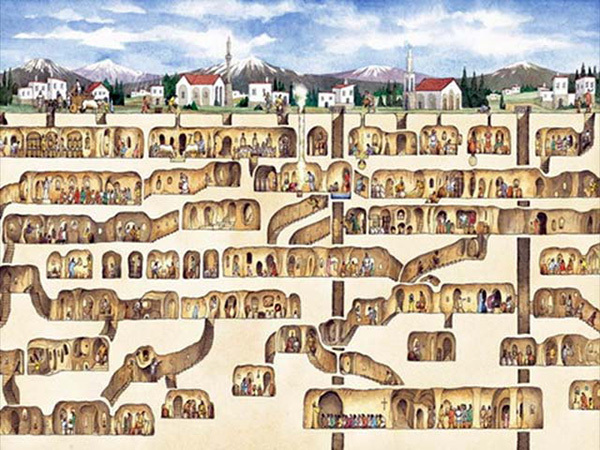 The underground city at Derinkuyu is neither the largest nor oldest, but its 18 stories make it the deepest.